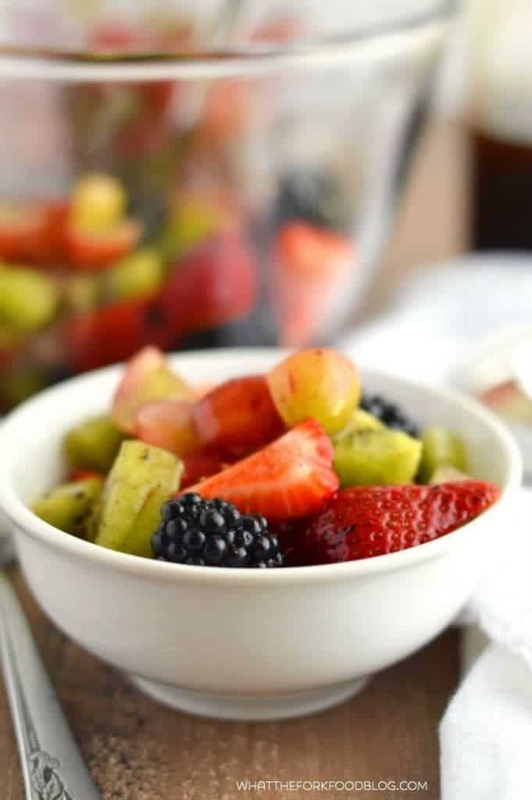 This Easy Fruit Salad is the perfect snack to get you or your kids through the afternoon. The fruit is tied together with a paleo simple syrup (made with coconut sugar) that is amazing. 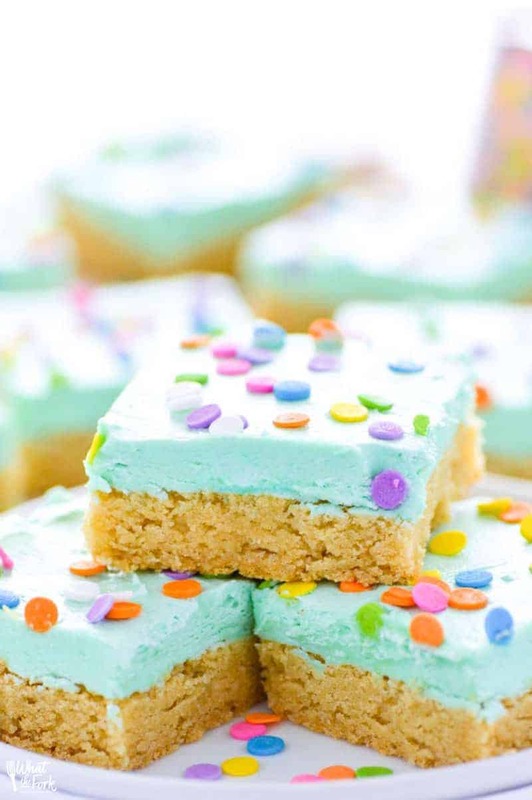 With school starting for just about everyone now, it’s time to start thinking about snacks. Kelsey and Mackenzie love their snacks so I’ve always got a constant supply of fresh fruit and other snack foods on hand. Kelsey is starting preschool and I KNOW the first thing she’s going to be asking for when she gets home is a snack. The school no longer supplies an afternoon snack because of budget cuts so she’ll be famished when I pick her up. Lucky her because her momma’s got a plan. 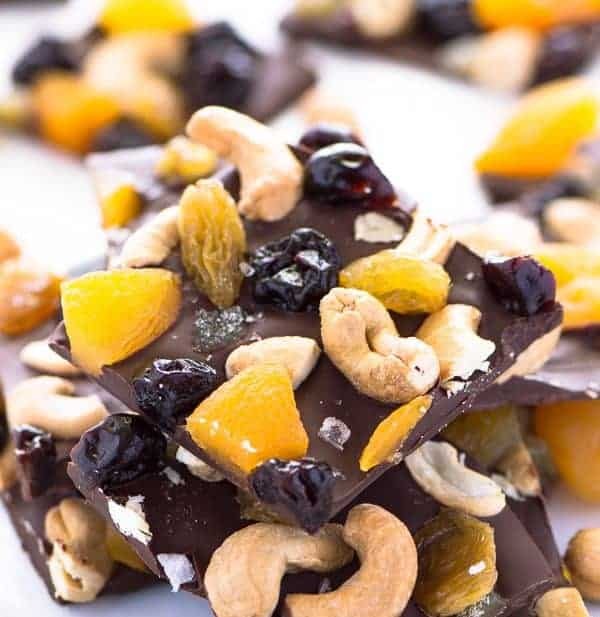 I’ve put together a list of 30 healthy afternoon snacks for you and me to help us get organized, stick to that plan, and keep on top of our snack game. 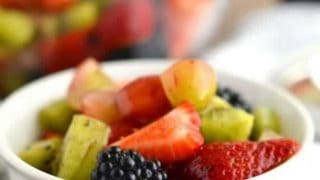 Part of the snack rotation will be this easy fruit salad. 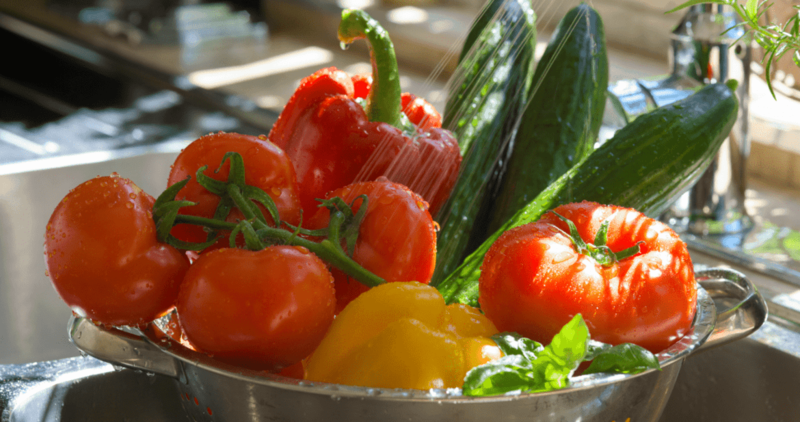 It makes two servings so there won’t be any leftover fruit getting soggy in the fridge. You all know how that goes… it does not end up well for the fruit. So here’s how to make fruit salad: You can skip the simple syrup if you don’t want the added sweetness. I like to add it in because it ties the fruit together nicely and it’s a change from just plain old cut up fruit that we have every day. If you don’t have coconut palm sugar, you can use regular sugar for the simple syrup (but then it won’t be paleo). One fruit of choice in our house is grapes. Grapes from Mexico are farm packed and on their way to market right after they’re picked, they’re an all-natural snack option with no preservatives, and they’re grown with responsible growing practices – their water conservation practices are top-notch. World class, actually. For this recipe, I used red Grapes from Mexico because a fruit salad just isn’t a fruit salad with some grapes thrown in. I’ve also used kiwi fruit, which is one of Kelsey’s new favorite fruits. I also love how inexpensive they are, ha. I’ve also included blackberries and strawberries because they’re everyone’s favorite in our house. I can’t even tell you how many pounds of berries we go through in a week. If you make this simple fruit salad for two, be sure to tag me on Instagram #whattheforkfoodblog. I love seeing what you make! Enjoy! Add the coconut sugar and water to a small sauce pan. Heat over medium heat and bring to a boil. Simmer for 5 minutes then remove from the heat and cool completely. Store in an airtight glass jar. 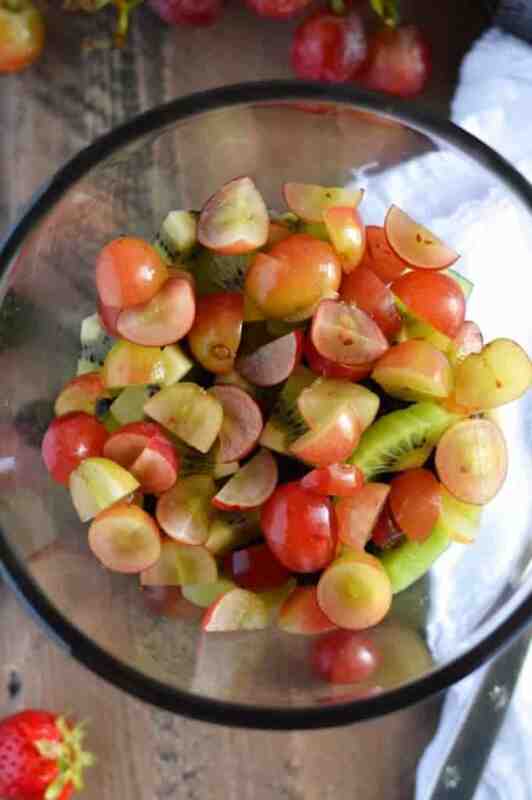 Place the strawberries, blackberries, kiwi, and grapes in a medium sized bowl. Add the simple syrup and gently stir to coat the fruit. Serve immediately or chill up to 3 hours before serving. 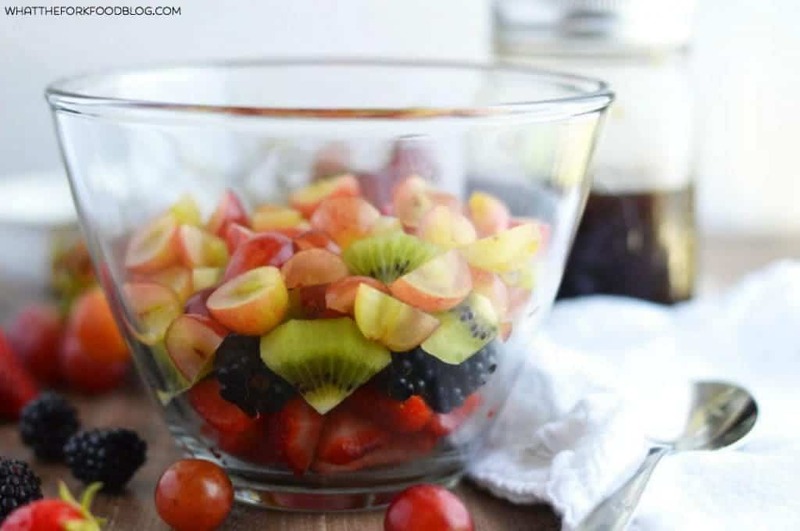 a perfect looking fruit salad! and I LOVE those caterpillars, OH MY so cute! Aren’t they?! They’re seriously so fun! 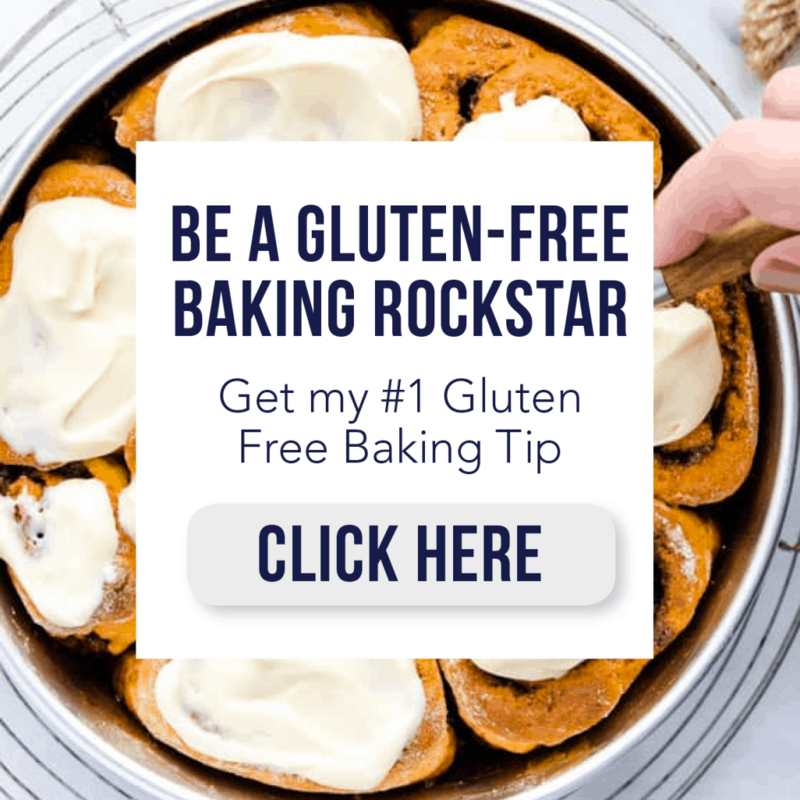 LOVE that this makes only two servings – perfect! YES! I hate leftover fruit salad ??? ?